Carol wanted a special surprise birthday gift for a very special person. 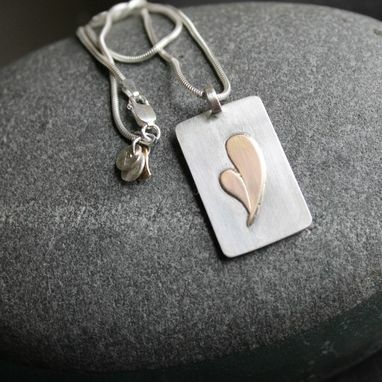 She began with the contemporary heart pendant displayed in my CustomMade portfolio, chose sterling and 14K gold as her materials, and requested that an infinity sign be placed on the back. 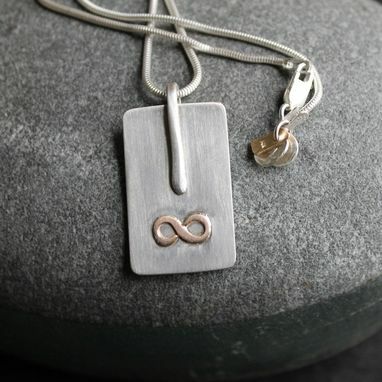 I love the way the back turned out with the bail trailing from the front down toward the infinity sign. I am happy with the finished project.